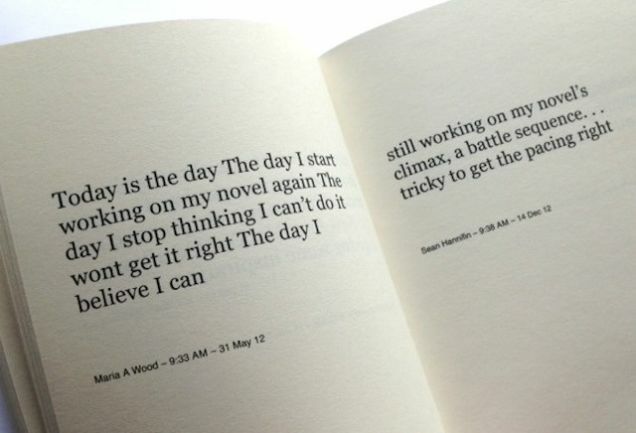 Working On My Novel is a book by artist Cory Arcangel featuring 127 tweets from authors who are, you guys, seriously so busy working on their novels that they barely have time left over to tweet about their novel-writing process. Which is something I suspect none of us can relate to. Nope. Not at all. It’s sort of an interesting experiment, but paying more than $10 for some tweets? I mean, you could do a Twitter search and get similar results. And you could continually get different results. On the other hand, there is a sort of artfulness to it. I guess I can’t decide if it’s an interesting work or a lazy way to make a buck by copying over some tweets. Thoughts? 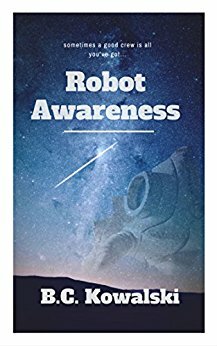 Next Want a free advanced review copy of Robot Awareness? You got it!